Crafting With Craig: Hunkydory design team card. Shop till you drop - little book of decoupage - 3 sheets. 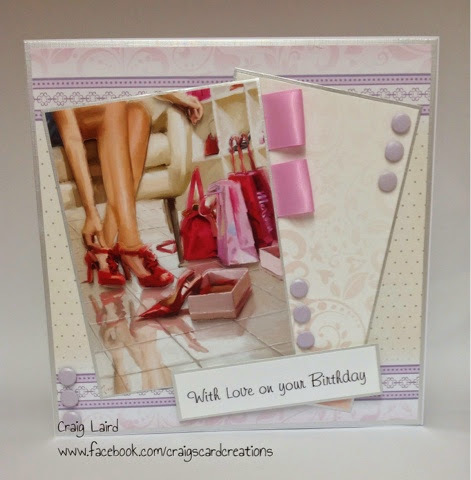 Co-Ordinated background card (small piece). Co-Ordinated insert cut to 8"x8" size as main background. 8"x8" card blank - Craftwork Cards. 25mm pink satin ribbon - American Crafts. Lilac card candi - craftwork Cards. 3D glue gel - Pinflair.